Fantastic updated half duplex unit boasts an open-concept main floor with FRESHLY PAINTED INTERIOR, hardwood flooring, updated kitchen with granite counters, stainless appliances and new cabinetry, two large main floor bedrooms and an updated full bathroom. The basement offers two non-conforming bedrooms, update 3/4 bath, laundry room and flex space perfect for a home office or playroom. Install egress windows and create a rental opportunity with exterior access to the basement directly from the garage. Rarely found completely fenced west facing private yard accessed via a gate from the front, or the back door with drip system installed. Electric lawn mower included! This 3726 square foot lot is accompanied with an easement (by way of neighbors yard) to 2 single car detached garages with alley access. 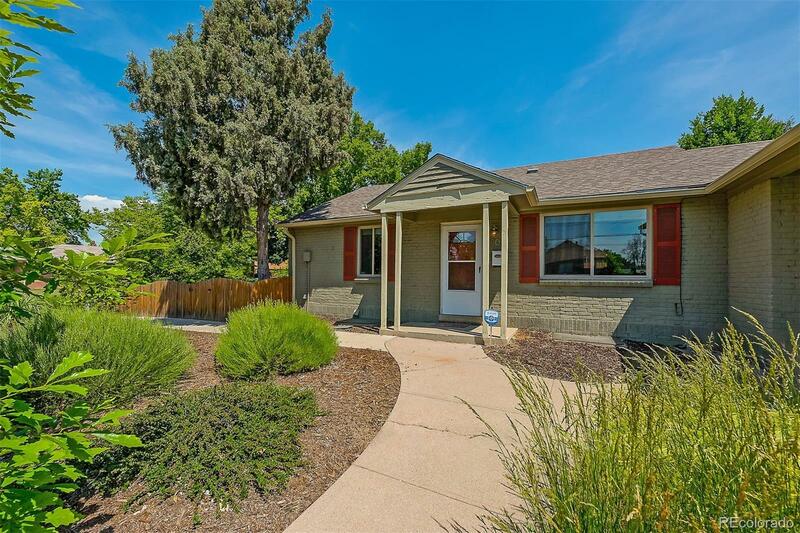 Conveniently affixed between Lowry/Stapleton and Mayfair/Montclair, with great access to surrounding highways, local restaurants and shopping makes this location idyllic.